Somnis Bedding in Lokeren is a family business where, since 1953, all products are manufactured by hand: mattresses, box springs, slatted bed frames, pillows, cushions, and duvets. Thanks to these years of experience, we can guarantee you a high quality for each of these products. All articles comply with current standards in terms of comfort, hygiene and safety. 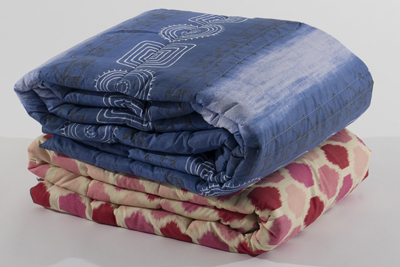 Because at Somnis Bedding you buy directly from the manufacturer, our prices are extremely low priced. every Saturday from 10 am to 5 pm, and every Thursday from 12 pm to 6 pm.
. Come visit us at Daknamstraat 89 in Lokeren (right next to football stadium K.S.C. Lokeren). 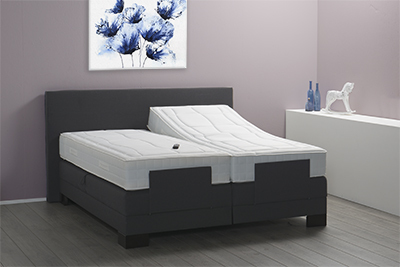 This comfort mattress has a hard lying comfort on one side and - when you turn the mattress - a softer lying comfort on the other side. You can choose by yourself which lying comfort you prefer. 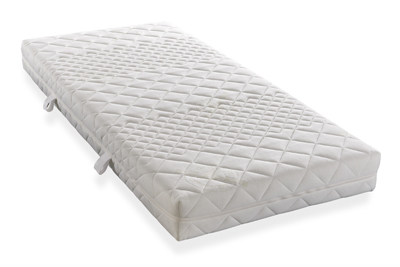 This mattress with a visco memory foam toplayer provides a very good support. The foam adapts to the shape of your body and respects therefore the natural S-curve of the spine. This mattress is filled with springs wrapped in synthetic non-woven bags. They are attached to each other, but each spring can move independently. There is a layer of comfortfoam at both sides. This mattress is filled with pocketsprings that can move independently of each other. The zones give the right counter pressure to your body. There is a layer of memory foam along both sides of the springs. 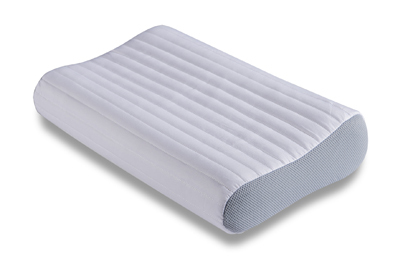 A mattress of latex has exceptionally good adaptability and lasting resilience. Thanks to the open cell structure and the ventilation channels, a constant air circulation is ensured. This mattress is made of an 18cm Open Cell High Resilience foam layer. It has a very high density, so that no deformation occurs. It is available in a hard an a softer lying comfort. This mattress will be completely personalised on you body. You can choose between 3 kinds of Open Cell HR foam as base and between 5 kinds of viscofoam as toplayer. 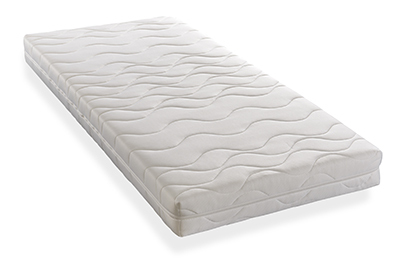 This mattress has a 16cm layer in Open Cell coldfoam Waterlily with 7-zone carvings that result in a high elasticity. 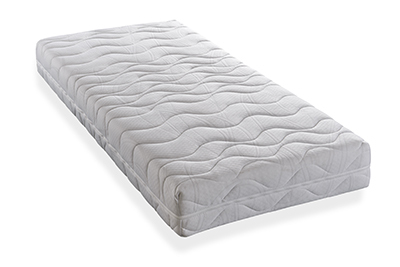 This mattress has a 20 cm Open Cell coldfoam Waterlily core. Thanks to drop-shaped carvings on both sides and egg-shaped cutouts in the center, a very high point elasticity is created in every weight class. Mattress made up of 3 layers. Above and below is an Open Cell coldfoam Waterlily layer of 8 cm. 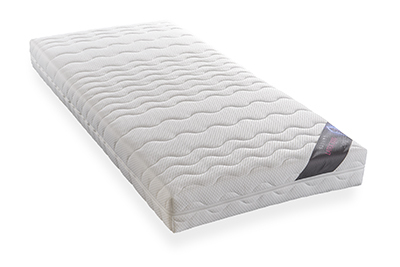 This layer ensures optimum pressure compensation and relaxation of the spine. The inner core is an Open Cell Hybrid Sky layer with a very high support power. The 7 zone pocketspring core of this mattress relieves the shoulder and pelvis area. 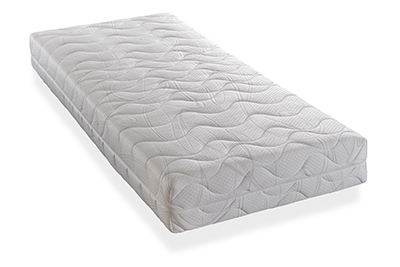 With its coverlayer in sturdy nubbing foam, this mattress provides the optimum counter pressure and relaxation that your body needs. Electric box spring with a core of pocket springs and two motors of 4500N. Price size 160 x 200 cm: 595 euro (excl. mattresses) – available in different sizes. Price size 160 x 200 cm: 1250 euro (excl. mattresses) – available in different sizes. 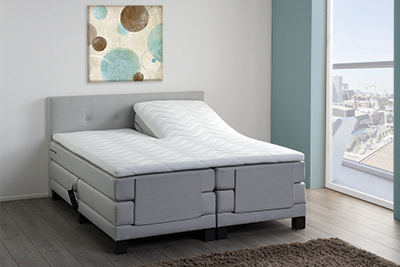 This electric box spring has a luxurious headboard with studs. Versions: fixed, adjustable, of electric with 30 plywood birch slats and 6 lying zones: head, shoulders, back, loin, thighs and lower legs. Available in all sizes. Price: fixed version from 110 euro. Versions: fixed or electric. This bed frame has a 3-dimensional adjustment thanks to the plates that can turn in all directions. The plates with red buttons in the middle are adjustable in 3 positions: soft, medium, or firm. 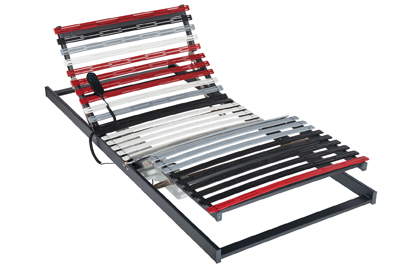 Price: fixed version in size 90 x 200 cm is 299 euro and in electric version 599 euro. 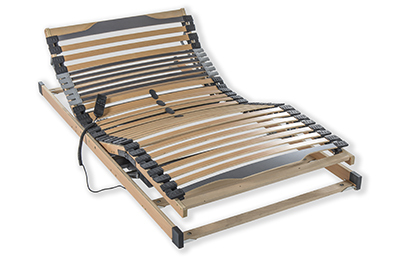 The Telastika is the most revolutionary slatted bed frame in the world! 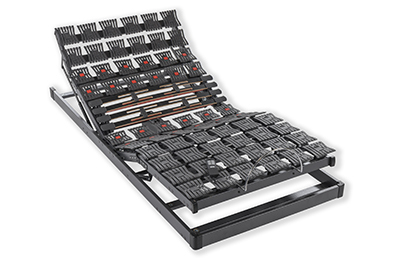 It can be fully customized to personal needs and consists of composite slats that provide optimal lying comfort. Have a body test done free of charge to measure your pressure points. Prices start from 799 euro. 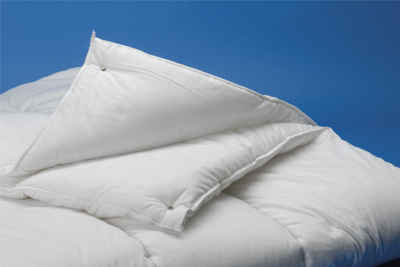 Single duvet in hollow siliconized polyester fiber of 200g or 400g. Extra durable. Made from hypo-allergenic materials. Washable at 40°C. Prices start from 16 euro – available in all sizes. 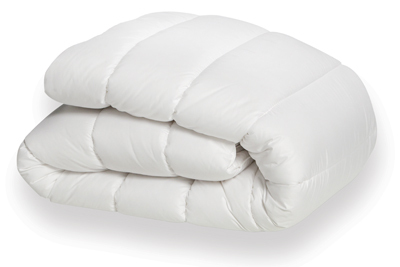 This duvet comes with two parts that can be joined together using the included push buttons. It is filled with anti-allergic comfort fiber: summer side (200g) and autumn side (400g). Duvet is washable at 40°C. Prices start from 28 euro – available in all sizes. Your guests are staying overnight? Then is this nicely colored duvet what you need. You do not need to use a fitted sheet, and you can later simply put the whole duvet in the washing machine. Prices start from 17 euro – available in all sizes. Pillow available in size 60 x 60 cm. Retains its shape. Ideal ventilation thanks to the synthetic fiber balls. 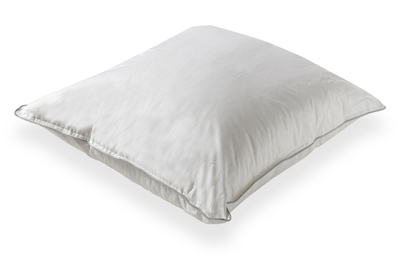 The cover in luxurious cotton is removable and washable at 30°C. Pillow available in size 50 x 30 cm. 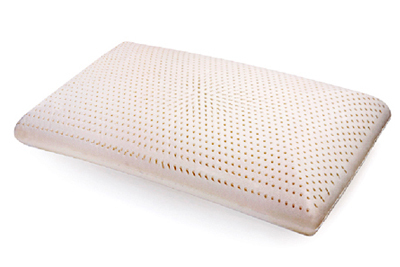 Filling in renewed memory foam: small gel particles ensure an optimal temperature. Prevents and reduces neck pain. Prijs : 40 x 60 cm is 20 euro and 60 x 60 cm is 32 euro. every Saturday from 10 am to 5 pm, and every Thursday from 12 am to 6 pm.